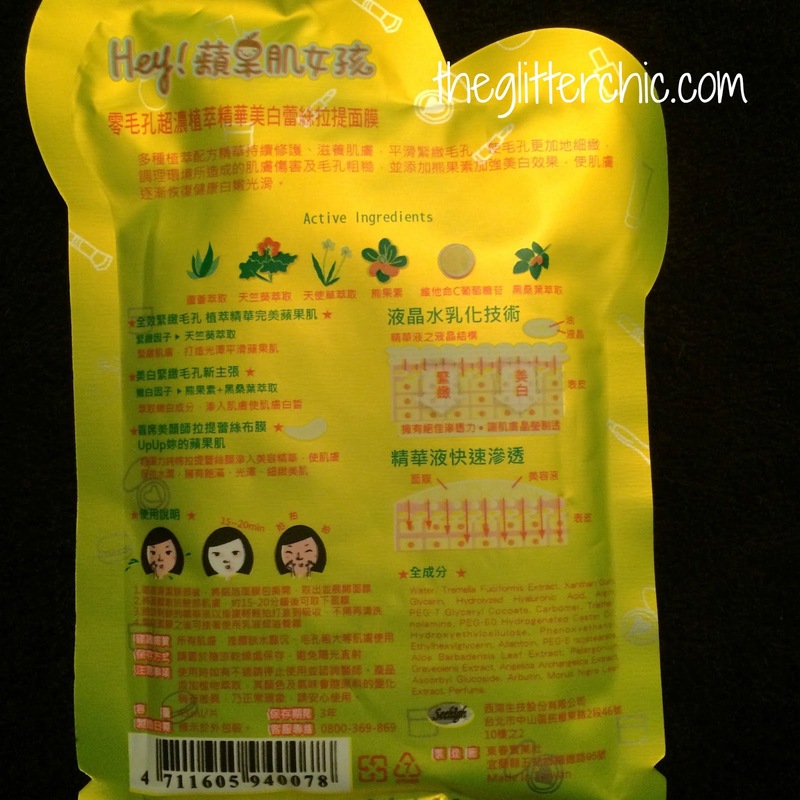 Today's mask review is of the Hey Pinkgo Girl Herbal Essence Astringent Mask. I couldn't find too much information about this mask in English, so based on the name of the mask I took a guess as what it's main purposes are, and that would be pore care. When I see astringent I think of tightening, and looking at the cute illustration on the front of the packet I would guess that this mask probably tightens pores and maybe even controls oil. This is a lace mask, which is what attracted me to it in the first place. I'm very familiar with cotton masks and have even tried a few silk masks at this point - hydrogels, sure! But lace? This sounded so fun I just had to try it! Again, the back of the packaging has no English except the ingredients list. Ingredients: Water, Tremella Fuciformis Extract, Xanthan Gum, Glycerin, Hydrolyzed Hyaluronic Acid, Algin, PEG-7 Glyceryl Cocoate, Carbomer, Triethanol amine, PEG-40 Hydrogenated Castor Oil, Hydroxyethylcellulose, Phenoxyethanol, Ethylhexylglycerin, Allantoin, PEG-8 ISOSTEARATE, Aloe Barbadensis Leaf Extract, Pelargonium Graveolens Extract, Angelica Archangelica Extract, Ascorbyl Glucoside, Arbutin, Morus Nigra Leaf Extract, Perfume. This mask does have a light fragrance, but it disappears quickly. 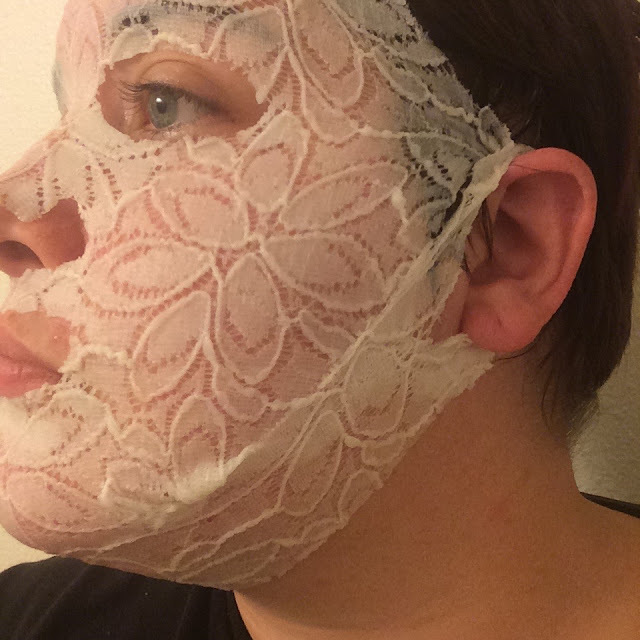 The lace is quite thick, but there are holes to attach the sides of the mask to your ears to keep it in place. There is also a v-line attachment that of course also attaches around your ears. As soon as I got this mask situated on my face, my skin began to itch. I tried to keep busy but the itching didn't subside. I forced myself to leave it on for the recommended 20 minutes, and literally ripped it off my face. My face was red but did not appear to be broken out or reactive in any other way. The lace was still very wet, I probably could have worn this for an hour or longer but there was just no way I could be comfortable that long. 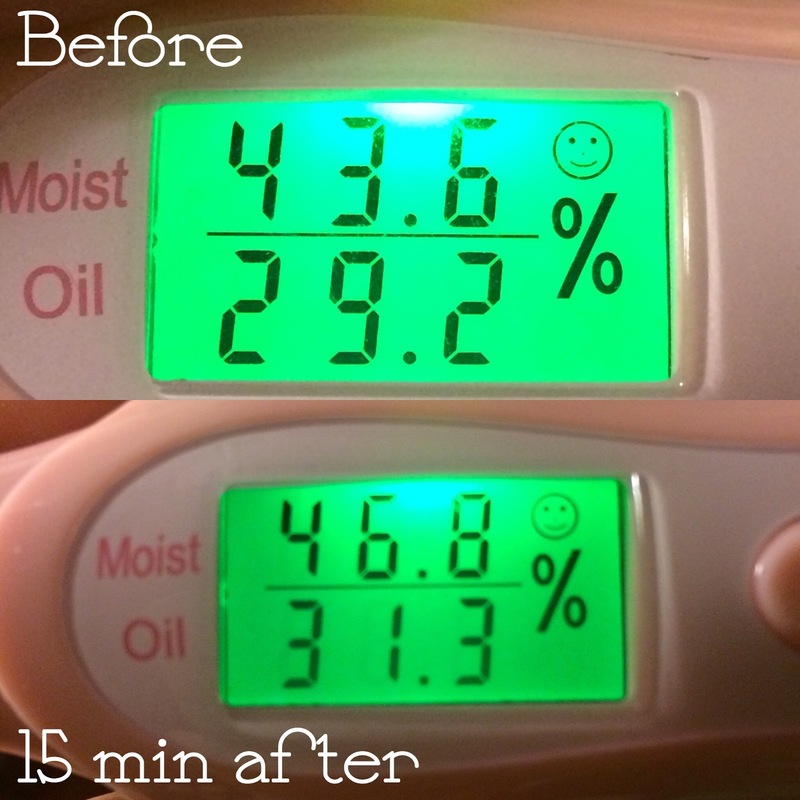 My face absorbed the essence on my skin very quickly and my skin soon started to feel tight and dry. As you can see by my skin analyzer readings below, this mask did provide a tiny amount of moisture to my skin, but not enough to be worth the 20 minutes of itching and squirming I endured. This mask left my face feeling tight and itchy, and caused a bit of redness. I also suspect it caused a couple new pimples, but I'm not sure if they're related or not. I purchased this mask off Amazon in a sampler pack of 8, and unfortunately I will not be using any of the other 7 masks. 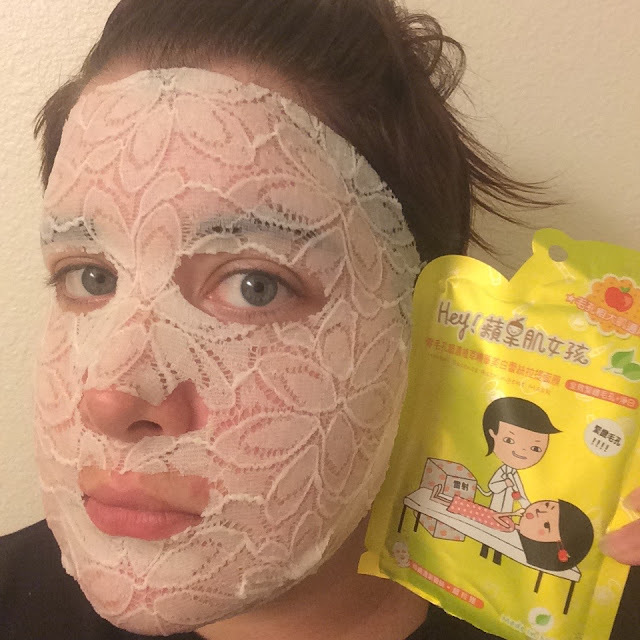 I've heard rave reviews about these masks from others, so this was a huge disappointment for me. 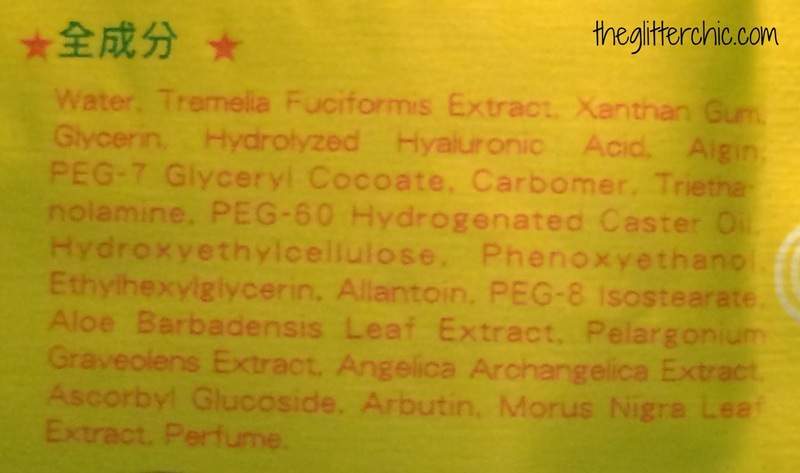 Especially when I had previously used a Hey Pinkgo Girl Hyaluronic Acid mask with no real issues. You can find these masks on Amazon.